Shiromani Akali Dal Amritsar (Mann) has told its district units to prepare the lists of party leaders willing to contest elections for the Shiromani Gurdwara Prabhandak Committee (SGPC). The Supreme Court of India today revived the general house of Shiromani Gurdwara Prabhandak Committee (SGPC) which was election in 2011. Panthic Talmel Sangathan (PTS) has announced to contest the Shiromani Gurdwara Prabhandak Committee (SGPC) elections. 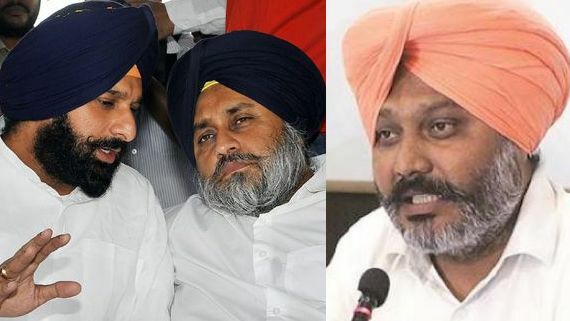 The PTS leaders said that it was the call of the hour to take part in SGPC elections to free the historic Sikh Gurdwaras and Takht Sahibs from the clinches of Badals. The Shiromani Gurdwara Prabhandak Committee (SGPC) has moved the Supreme Court of India (SCI) seeking notification for SGPC house that was elected in 2011. The Shiromani Gurdwara Parbandhak Committee (SGPC) has moved the Supreme Court in the light of the new Central law taking away the Sehajdhari Sikhs’ right to vote in SGPC elections. The Sikh Gurdwara Amendment Bill, 2016 which bars "non-practising" Sikhs from casting their votes during the Shiromani Gurdwara Prabhandak Committee (SGPC) elections, is reportedly approved by the Indian President. India's Minister for Food Processing Industries and Shiromani Akali Dal (Badal) leader Harsimrat Badal today hailed the passage of Sehajdhari bill by the Lok Sabha. 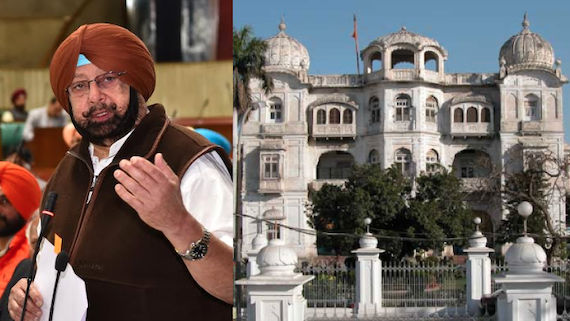 Lok Sabha, lower house of Indian Parliament, on Monday passed the bill to amend Gurdwara Act 1925 to exclude Sehajdharis Sikhs from voting in the elections of Shiromani Gurdwara Prabhandak Committee (SGPC). SAD (Badal) wishes to ensure that the said amendment is brought during the Budget session of Indian Parliament that begins on February 23. New Delhi, India: A committee, headed by Prime Minister Narendra Modi, will choose the next Chief Commissioner for Gurdwara elections, slated to be held in September 2016. New Delhi/ Amritsar: Narendra Modi led BJP government has declared to hold Gurdwara elections for Shiromani Gurdwara Prabhdandk Committee (SGPC) in September 2016. 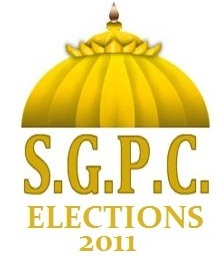 Last elections of SGPC were held in 2011 but no notification was issued to give effect to the 2011 elections. Moreover the validity of 2011 elections is under scanning of Supreme Court of India. New Delhi, India (July 27, 2012): As per media reports the Supreme Court of India on July 26, 2012 granted two weeks’ time to the Shiromani Gurudwara Parbandhak Committee (SGPC) to respond to the contentions of the Parmjeet Singh Ranu's Sehajdhari Sikh Federation that the SGPC had no right to appeal on the Sehajdharis’ voting rights issue. Chandigarh (July 24, 2012): The Sehajdhari Sikh Federation is reported to have filed its reply in the Special Leave Petition of the SGPC before Supreme Court. The respondent Sehajdhari Sikh Federation represented by its President Dr.Parmjeet Singh Ranu has raised preliminary objections on the locus standii of the SGPC for filing the Special Leave Petition (SPL). Sehajdhari Issue – (1) HC issued notice to Centre, Punjab, SGPC and Gurudwara EC; next hearing on 8 Feb. (2) Why situation is so confusing? The main reason behind static and confused situation on this issue could be the complex nature of issue, which on the one hand relates to the internal dynamics of the Sikh society (the definition of Sehajdhari and their role) and on the other hand it is related to relations of Sikhs with the Indian State (the Sikh Gurudwara Management Act, 1925; the role of Indian Parliament in Sikh religious affairs regarding amendment etc. of the 1925 Act and role of Indian courts being interpretting authority in relation to the said Act.). Chandigarh (December 20, 2011): A three judges constitutional bench of Punjab and Haryana High Court today pronounced the much-awaited verdict on the voting rights of non-practising “Sehajdhari” Sikhs in Shiromani Gurudwara Prabhandhak Committee (SGPC) polls. The Court has set aside October 8, 2003 notification issued by the the Central Government of India, disbanding “sehajdharis” from voting in SGPC elections. Chandigarh (September 08, 2011): Expressing doubts over fair conduct of SGPC elections under a deputy commissioner (DC) who once harboured political aspirations and had even contested the previous gurdwara polls, SAD (Panch Pardhani) has demanded removal of Harkesh Singh Sidhu from the DC's post. The complaint refers to Sidhu as DC, Sangrur - a post he held till last year.